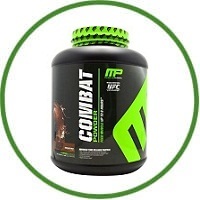 To maximize muscle growth and ensure proper protein utilization, MusclePharm scientists fortified Combat Powder® with a variety of protein blends that digest at varying rates, for up to 8 hours. The great-tasting, easy-mixing digestive blend is fine tuned for true nutrient utilization—a step ahead in protein powder technology. This is 25 grams of high quality protein in a tasty easy to mix shake, formulated for athletes and active people. People who train hard demand a superior and more effective protein. Most supplement companies seem to be okay with the status quo, the minimum. But ask yourself: do you give your workouts minimum effort? MP scientists over-delivered. Combat Powder is precision-engineered with whey protein concentrates, hydrolysates and isolates, egg albumen, micellar casein. WPI digests and absorbs rapidly and is gram for gram, the highest available yield of protein. Partially hydrolyzed whey protein: Broken down into faster-absorbing peptides, this rapidly infuses muscle-building amino acids. It digests slowly, infusing valuable amino acids over several hours. Studies show this may protect muscle tissue. Highly bio available and tolerated by most individuals, egg albumen is high in BCAA and arginine, contributing to hormone production and muscle building. 60mg added to aid in protein digestion and absorption. Added BCAA’s Glutamine: The BCAAs l-leucine, l-isoleucine, and l-valine maintain repair and build muscle tissue. L-leucine has been suggested to support protein synthesis and muscle growth. 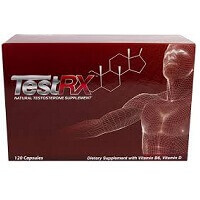 L-Glutamine has been surmised to support healthy immune systems. Some suggest L-Glutamine helps with recovery. Combined with Glutamine, it also fortifies muscle-building.